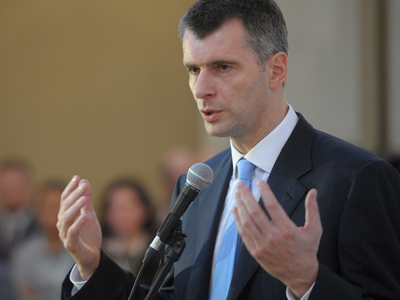 Russian billionaire Mikhail Prokhorov is quitting the gold business as the price falls and becomes less appealing to international investors. He has completed the sale of 37.78 percent of Polyus Gold International for $3.6 billion. 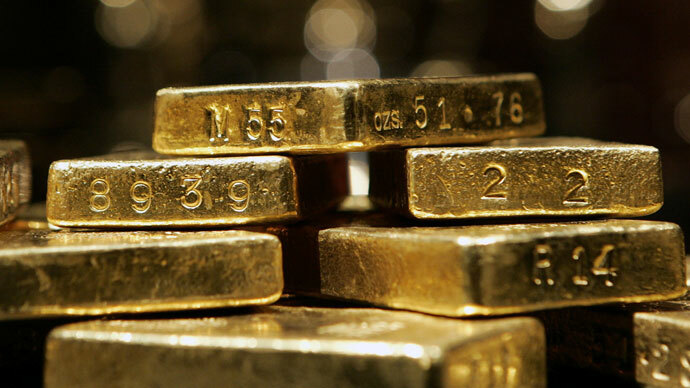 Gold is widely regarded as an a safe haven against drastic fluctuations in the economy. Stabilization of the global economy has seen central banks slashing their gold holdings which has led to falling prices. This week it reached $1609 an ounce which is 10% less than its October high of $1798.10. Prokhorov sold 18.5 percent of Polyus Gold to State Duma Deputy Zelimhan Mutsoev’s affiliated company Lizarazu Limited. Another 19.28 percent was sold to Receza Limited owned by the former owner of dairy and juice-maker Wimm-Bill-Dann, Gavriil Yushvaev, Oneksim Group reports. On Friday shares of Polyus Gold International have been climbing on the London Stock Exchange following the news of the sale of Mikhail Prokhorov’s 37.78 percent share to the companies affiliated with Mutsoev and Yushvaev. At 1600 GMT Polyus Gold shares had risen 5.02 percent to £2.30 ($3.50) per share. The deal was approved by British regilators, who check whether the new buyers are affiliated with the current shareholder of Polus Gold Suleiman Kerimov’s Nafta Moskva. “Prokhorov does not believe in the future of gold as the global economy stabilizes, and intends to sell his assets as soon as possible,” Gazeta.ru quoted BKS analyst Oleg Petropavlovsky as saying earlier. 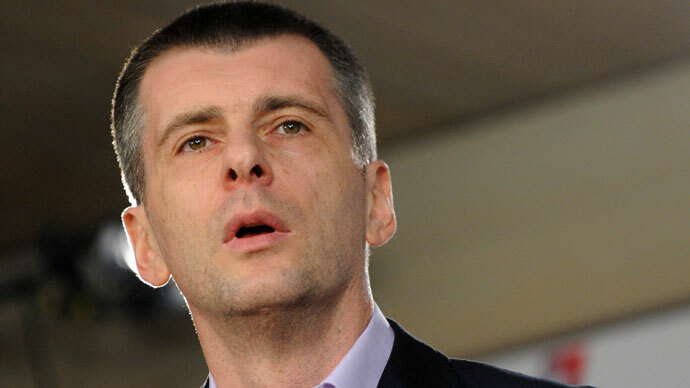 The gold miner is not the first major asset Prokhorov has put up for sale. In 2008 he sold 25 percent of Nornikel’s shares at its peak, helping him stay afloat amid the ensuing financial crisis. The businessman has been saying he plans to focus solely on politics over the past year. Prokhorov’s Oneksim Group is reportedly also in talks over the possible sale of Quadra power generating company to Mosenergo, which is controlled by Gazprom.